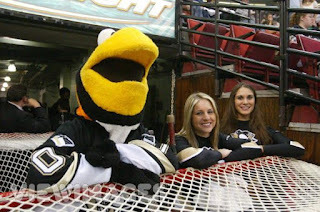 Every Female Penguin Fan: I want Army back! Craig Patrick: I made this trade back in '91, only I acquired a Hall of Famer who was under contract past that season. I drafted this team. I made this team. And now Shero is tearing it apart. 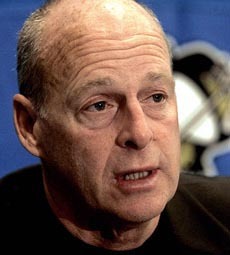 Ed Rendell: Theres a hockey team in a city called Pittsburgh? Yinzer at Jack's: We shoulda gahn and got Jarmir Jagr back from the Rangers. I heard someone saw Mario skatin' dahn at South Point. Dave Littlefield: Is Hossa left handed? Neal Huntington: Hossa fits our goals of both building for the future and focusing on the present. Ed Mann: With Hossa, they are a wondrous tapestry woven so skillfully by Ray Shero…They have been an emotional lift, an example of how much more each of us can achieve. As fluke slips into the darkness, from a new dawn comes the sound, of dynasty. Ben Roethlisberger: So you're saying star players on Pittsburgh sports teams can get help without begging to the media? Mike Tomlin: Can he score from 12 yards away? Ed Olczyk: If Fleury wouldn't have been sent down, and we acquired Hossa, I would never have been fired. 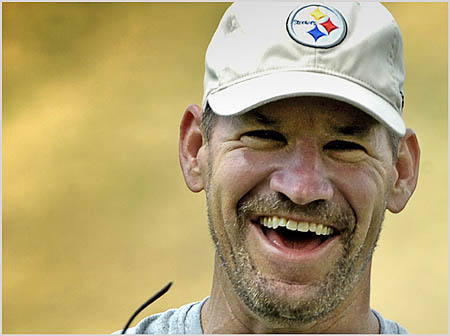 Bill Cowher: Sidney's got an ankle, Gary Roberts is out with a leg, Jerome's got a thigh, so Hossa will have to step up. Gary Roberts: I fathered Marian Hossa while leading the Slovak insurgency against the USSR back in 1979. He was one of 53 children that year. Sidney Crosby: I lost a friend, but gained a scorer. Eh, I'll see Army during the offseason. "That Hal Gill, he'd make a really tall wide receiver." That was tremendous, Sam. Well done. marian hossa- "i saw the trade. 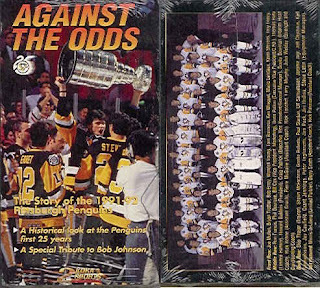 i still can't understand why Atlanta got nothing in return for dupuis, he's actually pretty decent"
bryan murray- "the only way to fix this is if i coach the team"
martin havlat- "damn, i wanted out of chicago"
jamie dixon- "this will definately take some focus off of us"
soon to be overheard by Paul Steigerwald- "i don't know what got into adam hall, but he is showing some real signs of talent"
bob gainey- "we stood pat because... well, we have a good team...and, ummm....Ottawa stood pat at the deadline last year, and look how that worked out for them...kind of." Last two Anons - I like the additions. 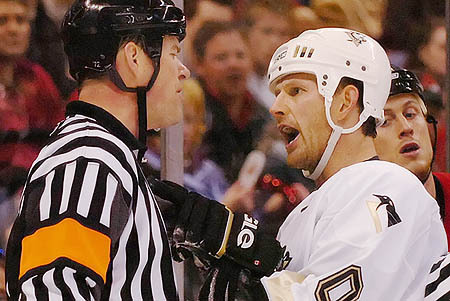 I can't believe I missed the Hal Gill reference. I think Dupuis is going to really surprise people. For one thing, you always are pleasantly surprised by an acquisition when you expect absolutely nothing from him and is overshadowed by the main piece of the trade. Plus, I don't get the Ouellett comparisons, which I've seen in a couple places now. Sure he is undersized, but I don't remember Ouellett being a great penalty killer. I know Colby was a good penalty killer, but we were still 25th in the league. We had to shake it up somehow, Gill and Dupuis do that. Michel Therrien: You know what yer going to get from da Hossa. We'll see Dupuis on the top line and Hossa on the 3rd line yet, you watch. Awesome Work. the additions in the comments section are great! Terry Bradshaw - "Hossa couldn't spell Cat if you spotted him the C & T". Ryan Doumit - "Is Hossa's wife hot? Sean Burnett's is getting a little stale." Flyers Fans - "This isn't right. The Penguins can only tank seasons to get good players".